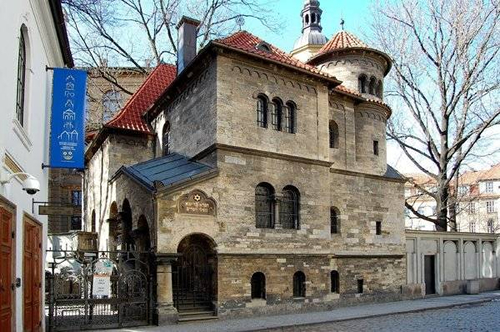 In 1942 Adolph Hitler agreed to the establishment, proposed by a Dr. Augustin Stein, of a Jewish museum in Prague, which would hold all the objects that the Germans were confiscating from the synagogues in then Bohemia and Moravia. Some reports claim that the Nazi dictator suggested it be called ‘The Museum Of An Extinct Race’. 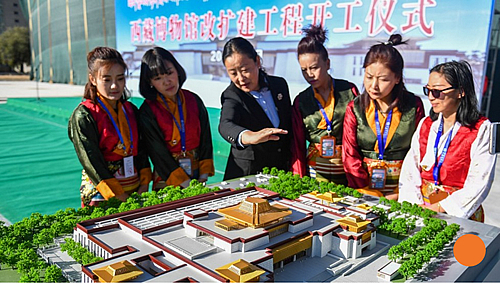 On October 29, 217 the Chinese regime announced that it was expanding the Tibet Museum, situated in Lhasa and launched in 1999 it’s a propaganda showcase to peddle the lie of a corrupted and cruel Tibetan society being liberated and advanced since China invaded in 1950. 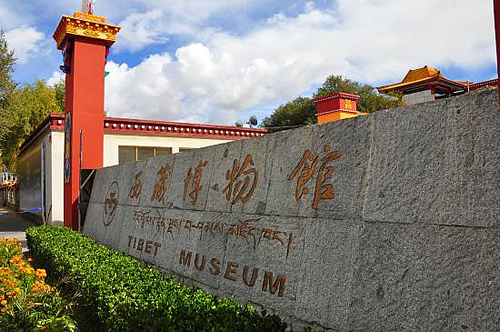 China’s regime plans to expand it’s propaganda museum in Lhasa. 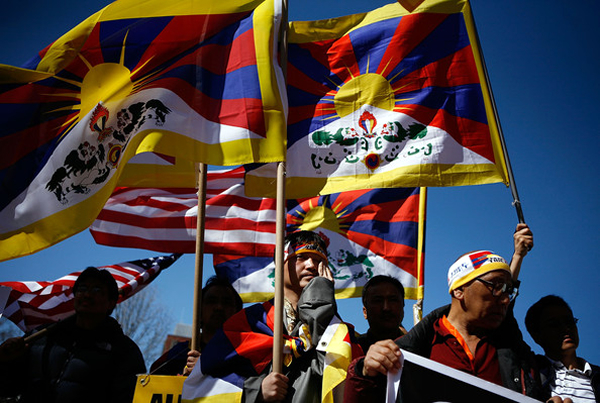 With the willing support of these Tibetan traitors. On issues of particular political or economic sensitivity the Chinese regime operates a similar campaign, repeating endlessly disinformation and propaganda, the ‘Tibet Museum’ is but one component of that machinery of deception. It targets tourists and under the guise of objective curation injects a toxic fabrication of Tibetan history into the minds of those wandering its corridors. 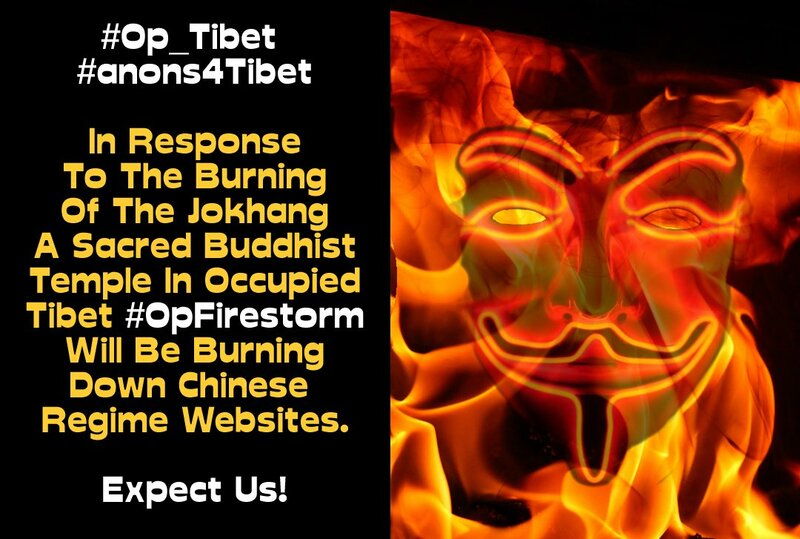 If anyone reading this is contemplating travelling to Tibet, or you know someone who is (a decision we would urge folks to seriously reconsider) please share this information with them. What an awesome idea from @Glasto4TIBET who today launched a petition asking the town hall of Glastonbury, England to consider twinning with Lhasa, Tibet. It’s a cool match as both places share a lot in terms of being historic and sacred sites that have attracted pilgrims for millennia. 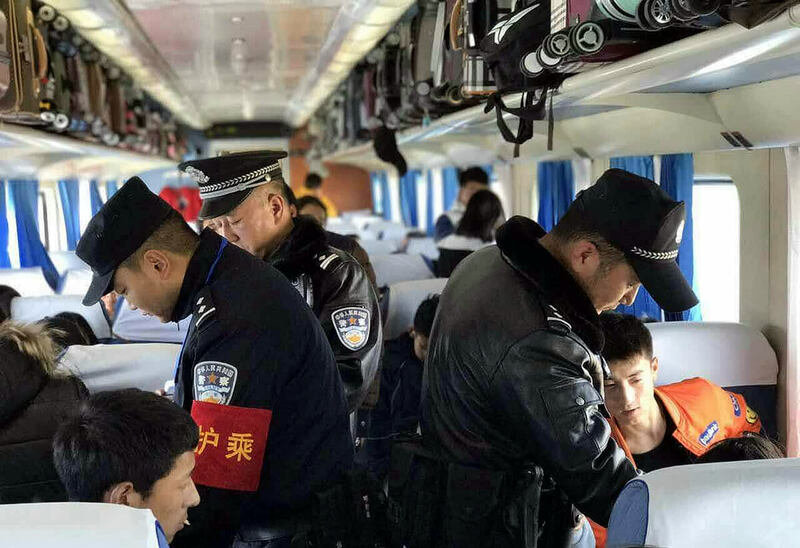 China Sends In The Psychopaths To Ensure A ‘Harmonious’ Tibetan New Year! 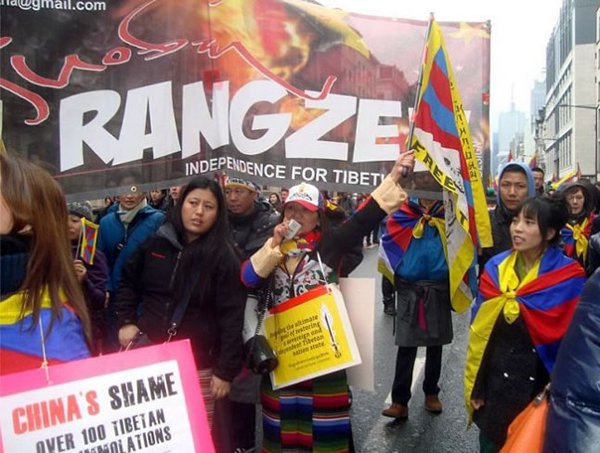 Across the lands of occupied Tibet, which since 1950 has become effectively the world’s largest prison, with some 6 million Tibetans held captive by China’s terrorist regime, numbers of paramilitary troops are increased. 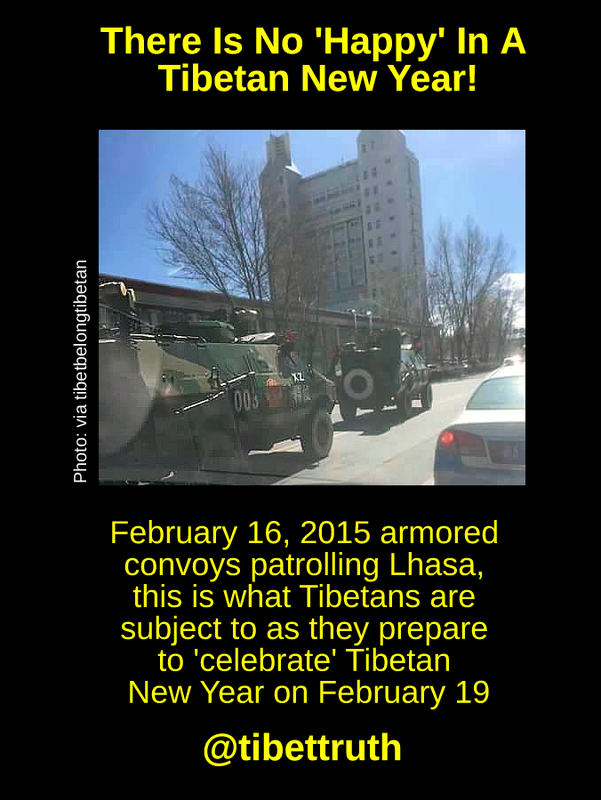 Reports describe additional units of armed police, while armored convoys are on the streets of Lhasa, the Tibetan capital. A merciless war of oppression is again being waged against Tibetans and their culture as the people of Tibet prepare as best they can to mark the coming Tibetan New Year. Just how desperate China is to convince itself and no doubt the world of the supposed legitimacy of its claims over Tibet was revealed by last years announcement to invest some 4.7 billion dollars into a propaganda theme park, to be constructed outside Lhasa, that will feature the story of a Chinese Princess who married the 7th Century Tibetan king, Songsten Gampo. 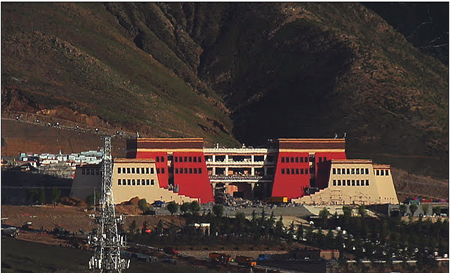 Meanwhile August 1, 2013, provocatively facing the deserted former palace of the Dalai Lama a dramatic fabrication of that history opens with the aim of peddling China’s bogus claims over Tibet but also with an eye on milking uncritical and unknowing tourists. 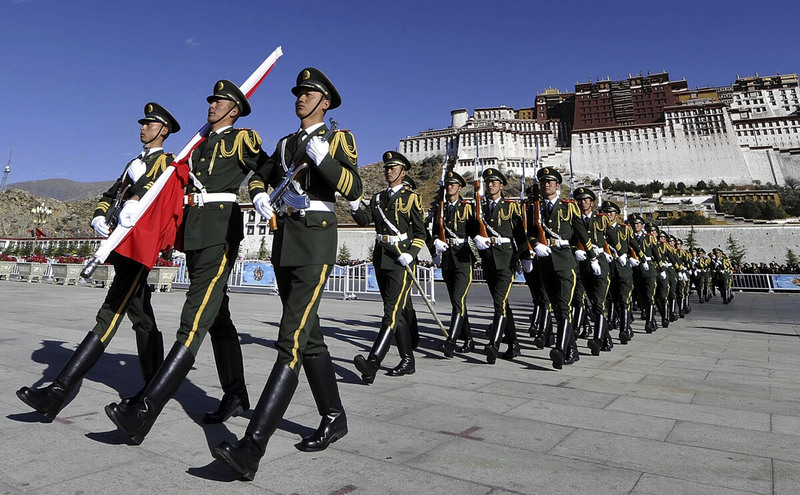 According to a report from the International Campaign for Tibet “The Princess Wencheng spectacle will be staged with a cast of nearly 600 on a stage nearly 100 metres long, in a fake Potala Palace that faces the real Potala, former home of the Dalai Lama. 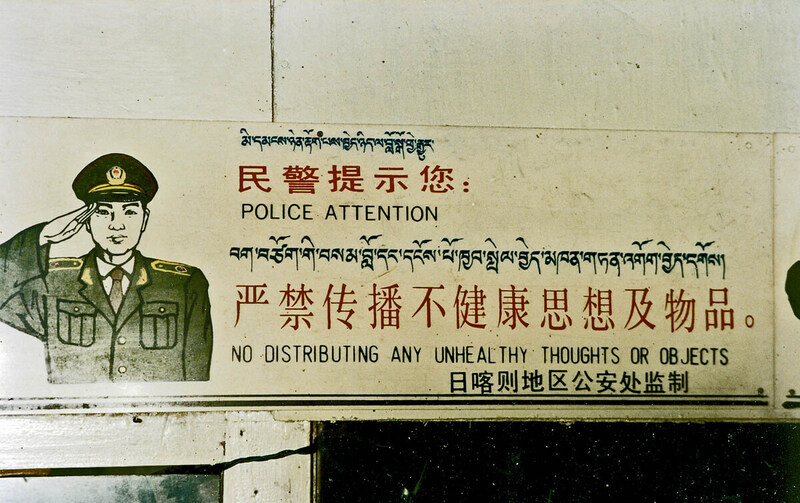 It will be performed at a time when Lhasa is under military lock-down with snipers visible on rooftops and its citizens subject to intense surveillance and ideological campaigns. 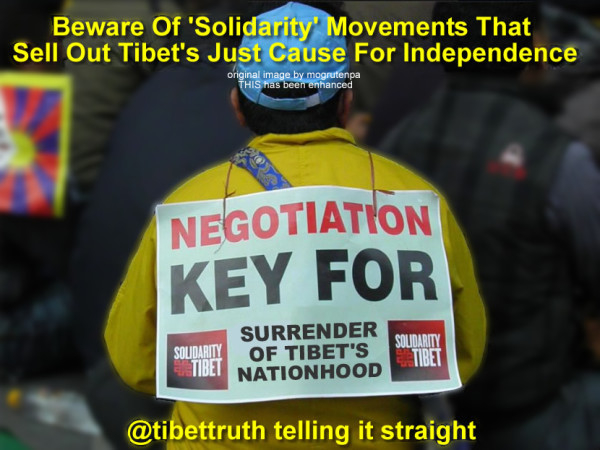 An ancient alliance which Beijing’s propaganda machine has for years insisted is ‘proof’ of Chinese rule over Tibet and exploits to claim a supposed ‘ethnic’ unity between Tibetans and their Chinese neighbors.. Apart from serving as gut-wrenching theater to peddle its re-write of Tibet’s actual history it will satisfy that other key feature of China’s occupation of Tibet, profiting from tourism, which the Chinese leadership has recognized as providing not only an economic opportunity to exploit foreign tourists, but as a political tool to support its ideological war concerning Tibet. We can expect a grotesque parade of costumed lies, an ersatz version of Tibetan culture, thoroughly sterilized and approved by China’s occupying regime. 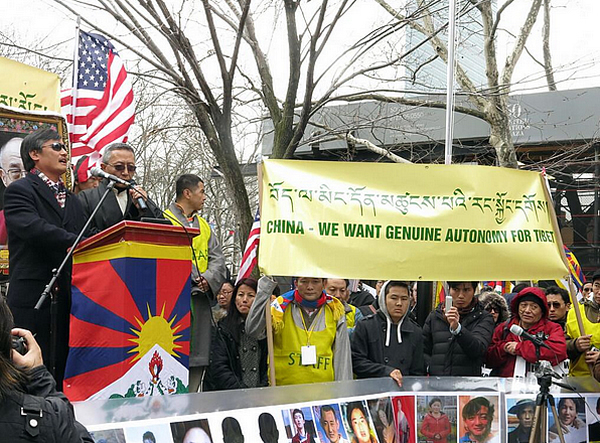 Meanwhile beyond the security barriers of the park Tibet’s authentic culture will continue to be eroded and assimilated by the onslaught of Chinese colonization, a sort of ‘final solution’ that has as a goal the eradication of Tibetan national identity. Imagine the Khymer Rouge engaged in the wholesale destruction of Cambodian society, announcing to the world’s media the building of a tourist attraction celebrating Cambodia’s Buddhist culture and we can begin to approach the imperialist insanity that lies behind China’s intentions. 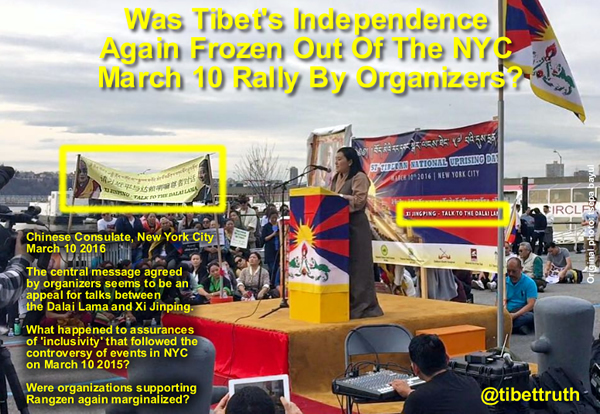 However let us return to the central feature of this macabre perversion, Princess Wencheng and China’s assertion that due to her marriage with a Tibetan king a legitimacy was established regarding Chinese claims on Tibet. To do so however we may benefit from beginning not in 7th Century Tibet but medieval France and its rival England, and a time equally marked by power politics and alliances. 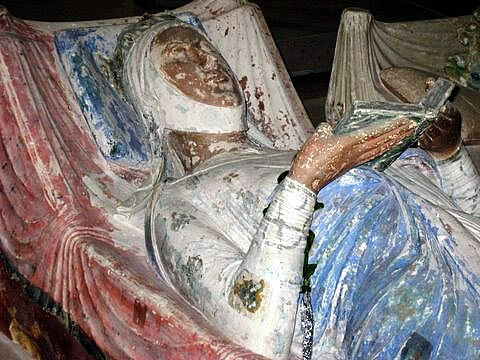 It is around the year 1122 and Éléonore de Guyenne was born, she was to become one of the most powerful and richest women in Europe, receiving the title Duchess of Aquitaine and was to be queen consort of France (1137–1152) and of England (1154–1189). Eleanor of Aquitane, as English historians recorded her name, married on May 18 1152 her cousin, Henry Plantagent, who was to become two years later the King of England. The marriage lasted some thirteen years during which she bore Henry eight children: five sons, three of whom would become kings, and three daughters. Clearly a dynastic alliance and important to note one involving family members, all of whom were French, including England’s ruler! If we apply China’s distorted reasoning that asserts legitimacy over Tibet, on the basis of ancient allegiances and marriage, then we must now consider that France could lay claim to the United Kingdom due to the historical truth of Eleanor’s marriage to Henry II of England! Perhaps Britain could insist that it occupied Ireland on the grounds of supposed treaties reached with Irish Kings over 800 years ago, or maybe attempt to re-colonize the United States by arguing that it was once part of (as China describes its Empire) the ‘one big Motherland’! Such claims are a nonsense and would leave international opinion entirely dumbfounded, yet the world sadly remains largely silent on equally absurd assertions made by China concerning Tibet. Indeed the media has been a willing conduit in reporting China’s distortions and recently widely reported China’s announcement to build this propaganda park, minus any critique. 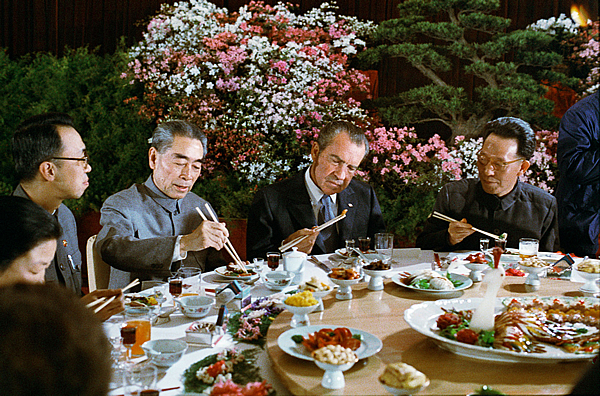 Had any correspondent of worth bothered to investigate they would soon have discovered that aside from cashing in on tourism, this venue has clear political objectives in enforcing a propaganda illusion of Tibet, its culture and history, hence the prominence being given to Princess Wencheng. 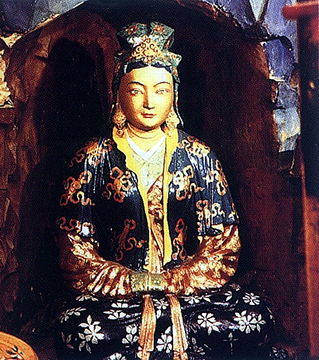 Let’s take a closer look at her appearance in Tibetan history. It is little known that in the 7th Century ACE, a period when Islam arises in Arabia, the Tang Dynasty rules in China and Anglo-Saxon kings rule in England, Tibet possessed a huge Empire under the reign of the Tibetan King, Songtsen Gampo. It’s territory stretched northwards towards East Turkestan (now under Chinese occupation and renamed Xinjiang) and Westwards into Central Asia and to the East in regions of China itself. The Tibetan ruler is credited with assisting the introduction of Buddhism into Tibet, although the Chinese often assert that it reached Tibet from China, citing the fact Songsten Gampo’s wife, Princess Wencheng brought with her a Buddha which is till today venerated by Tibetans. What China’s propagandists fail to mention however is that this Chinese princess was presented to the Tibetan King as a tribute following a number of Tibetan conquests against China. Nor do they mention that Songsten Gampo had a number of other wives, including a wife from Nepal, who had arrived some years before Princess Wencheng and who had also brought an image of the Buddha. The famous Jo-Khang temple in Lhasa was constructed by Nepali princes Brikuti Devi, another fact China’s theme park will be keen to ignore, along with the great debate that took place in around 792 in which Indian Buddhist masters defeated Chinese teachers, confirming the India basis of Tibetan Buddhism. Once again if we apply the fact-free thinking that China uses to support its claims over Tibet, by re-writing he facts surrounding Princess Wencheng, then surely Nepal, whose Princess had been married to the Tibetan King for some years before China dispatched its ‘tribute’, can now claim that Tibet is part of Nepal! 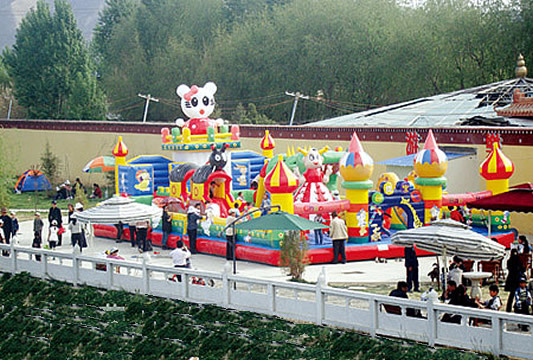 We can be sure that historical truth will play little part in the grotesque displays that will feature at the planned theme park, its purpose is about illusion, deception and asserting as truth what in reality is a cynical fabrication that Tibet is a part of China and that Tibetan culture is thriving under Chinese rule. Such disinformation is already being uncritically consumed by foreign tourists and an international media whose reportage bears a troubling similarity to China’s official propaganda. This recent announcement looks set to continue that trend and will be a gross distortion of Tibet, its people, history and culture, but then we have to ask ourselves how many tourists give a damn? 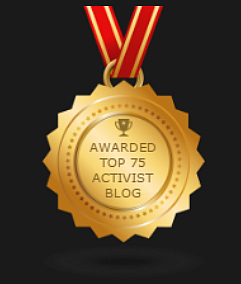 A reaction China is un-sleeping in its efforts to manipulate.